Optalert’s BlinQ system is based on infrared reflectance blepharometry, and is used to monitor eyelid movements of patients. Utilising infrared reflectance, IR light, which is invisible to the user, is used to illuminate the upper eyelid. A sensor detects the reflection of IR light from the eyelids and an on-board processor digitises the reflections at 500 times per second. 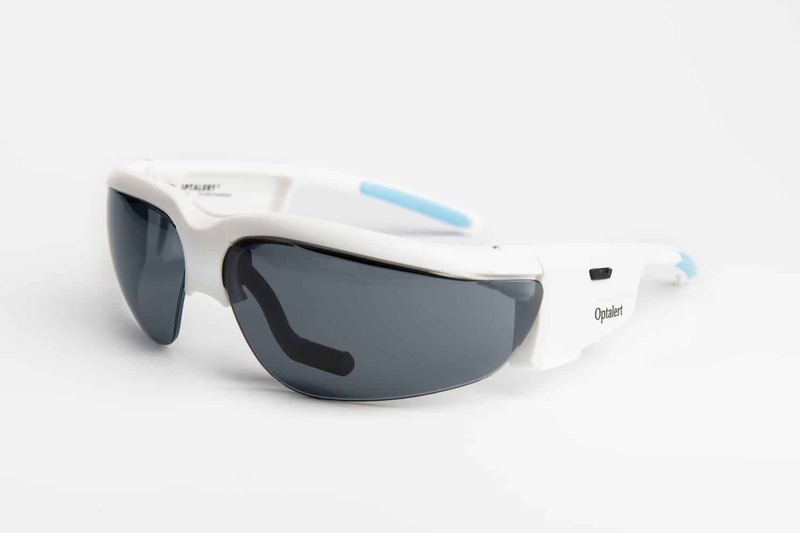 The sensor technology is mounted inside glasses frames where sunglasses or prescription lenses can be fitted. Glasses frames were chosen to house the sensors to make them as unobtrusive as possible and to ensure the patient is not restricted in their movements.